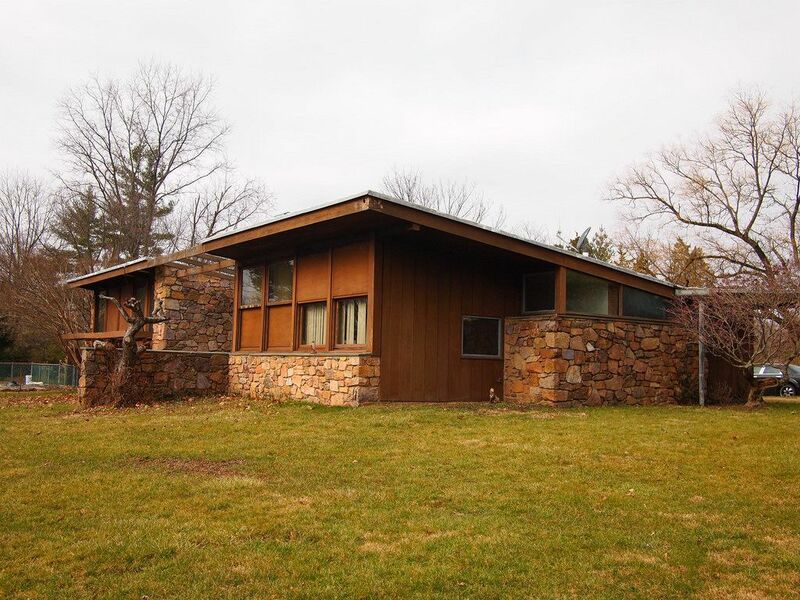 The Morton and Lenore Weiss House, designed by noted architect Louis Kahn with Anne Tyng, has been named to the Pennsylvania At Risk list. Since 1992, this list has been compiled and published by Preservation Pennsylvania, the statewide nonprofit historic preservation advocacy organization. While Louis Kahn is acclaimed for large-scale masterworks such as the Salk Institute, the Kimbell Art Museum, and the Yale University Art Gallery, his residential work allowed him to experiment with light and form in ways that would shape those monumental designs. Only nine of Kahn’s residential designs were constructed, between 1940 and 1973. The Weiss House, an early example of Kahn’s domestic design work, took shape from 1947-1950. Located near Norristown, the house includes a rare Kahn mural of Pennsylvania farmland painted after the house was completed (and including an abstracted representation of the Weisses beloved black and white dalmation dog). When the house sold after the Weisses passed away, instead of gaining new owners who appreciated Kahn’s vision or the Weisses’ belief in the value of open space, a developer envisioned a subdivision on the large lot surrounding the house. In 2016, East Norriton Township and local concerned citizens rallied to save the Weiss House from a plan to construct high-rise senior housing on the property. The plan was rejected by the township, and the house was placed on the local landmark list by the East Norriton Historical Advisory Committee. As a local landmark, the Advisory Committee and the Planning Commission must review and approve demolition permits before they are granted. Since 1992, Preservation Pennsylvania has published the Pennsylvania At Risk list to draw statewide attention to the plight of Pennsylvania’s historic resources; promote and support local action to protect historic properties; and encourage funding and legislation that supports preservation activities. Helping people to protect and preserve Pennsylvania’s endangered historic properties is a top priority for Preservation Pennsylvania. The organization is committed to engaging with people interested in working to preserve and rehabilitate these significant historic places. This year’s list was chosen from nominations submitted by groups and individuals. Submissions are evaluated by several criteria, including historic significance, the extent of the threat and the community’s commitment to preserving the resource.